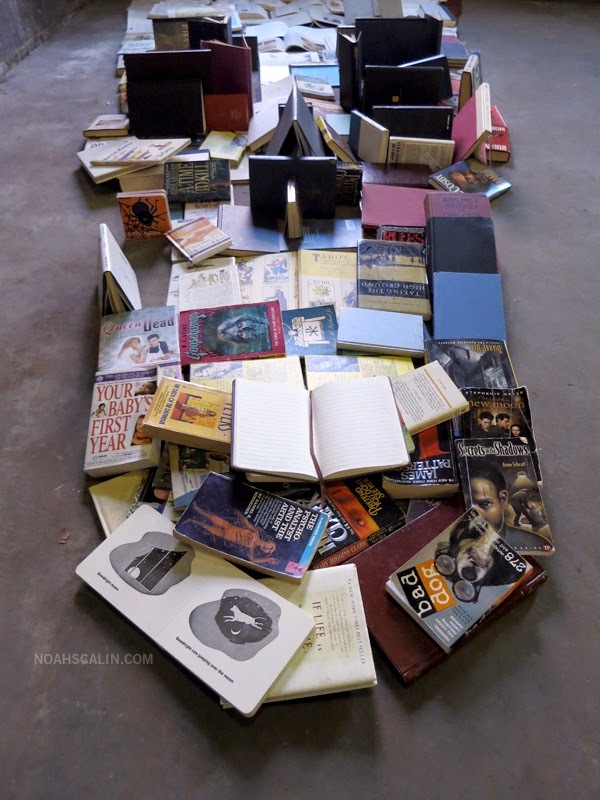 Artist Noah Scalin (previously) of Skull-A-Day fame has created a fantastic anamorphic skull installation out of used books. 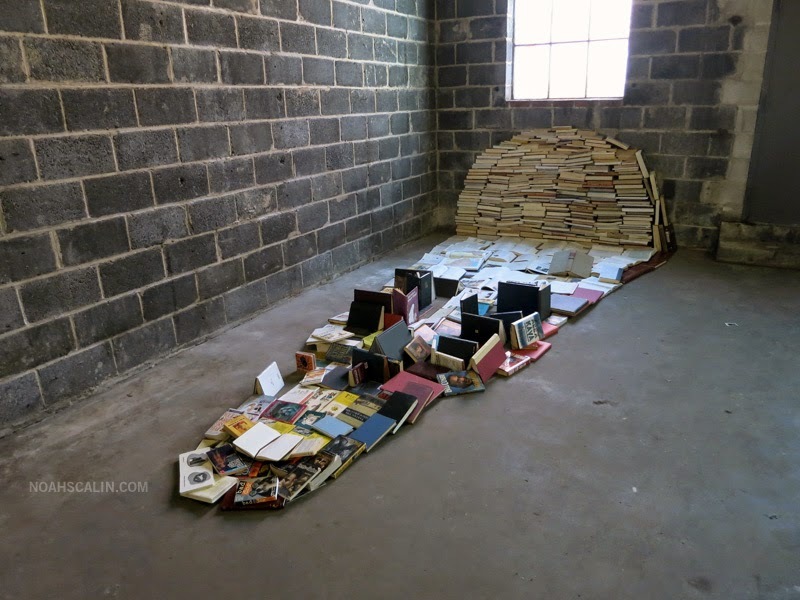 Entitled Dead Media 2, the indoor installation was made from a truckload of thrift store books. 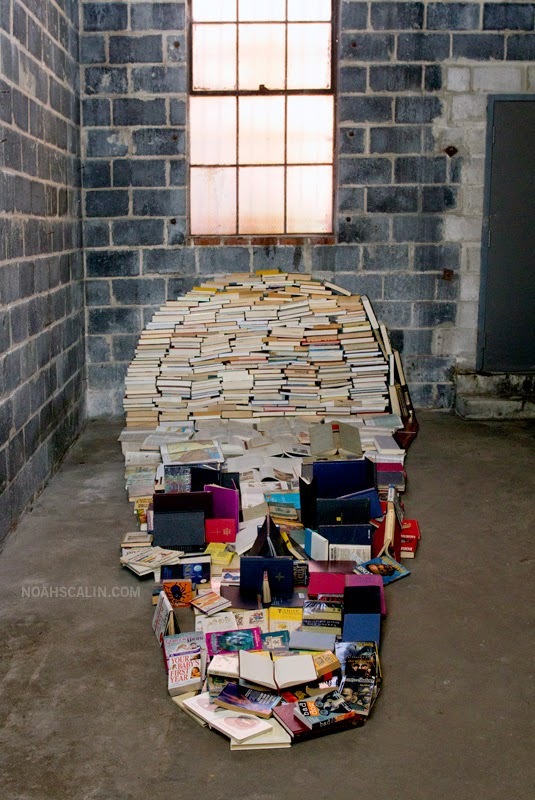 As the photos and video show, the installation only resembles a skull when viewed from one specific angle. Dead Media 2 is on display tonight, January 30, 2015, at the Darkmatters pop up exhibition in Norfolk, Virginia. The exhibition is presented by Alchemy NFK and the Virginia Stage Company.